It has been a few days that the unveiling of the major components contained with in Windows 10 has come under the spot light. They have been totally changing the way how windows has always been considered and that might pull a lot of people towards it including the ones who had been planning to break their bond with Windows sooner or later. We are going to go through 10 of the most recent features that are revealed by Microsoft to make its way to its latest desktop and laptop OS which is the Microsoft Windows 10, so stay connected and keep reading to get the taste of what you have been looking for. With the release of Windows 8, Microsoft has made its way to providing its users the experience of touch screen capabilities. Windows 8 has everything that a touch device user or a 2-in-1 device user would wish for but on top of that the users who were using non-touch machines and devices had issues in making the most of the new OS, which became one of the reasons for its downfall. With Windows 10, this issue has completely been resolved. Microsoft has designed Windows 10 to be intelligent enough to understand how the user wants to deliver inputs to their device. Continuum is he name they gave to this intelligent and elegant UI, it has the ability to allow the user to select whether he/she wants to use the touch friendly variant or the traditional PC input methods using a keyboard and mouse. Once the user selects the option, he/she can use the Windows 10 the way that is best suited to their needs and to their devices. There were features in the previous versions of Windows that defined their existence or should I say it made them stand out from all the rest of the Operating Systems in the market. Microsoft took a risky step by removing the star menu from Windows 8, on the basis of dislikes coming from people they added the button back with in Windows 8.1 which was a free update for all the Windows 8 users. Although, this button merely served as an alternate to the windows key. 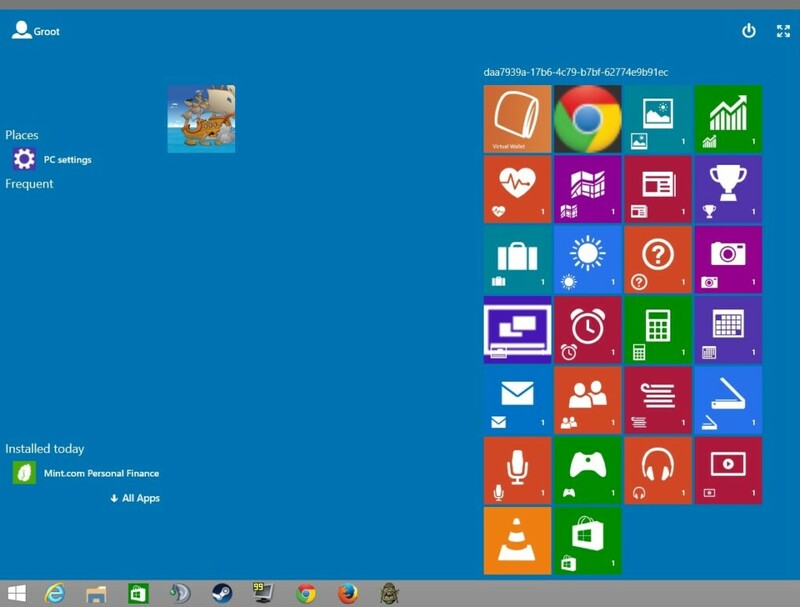 Thanks to Windows 10, the Start Menu is back and it is a better version of all the previous ones. 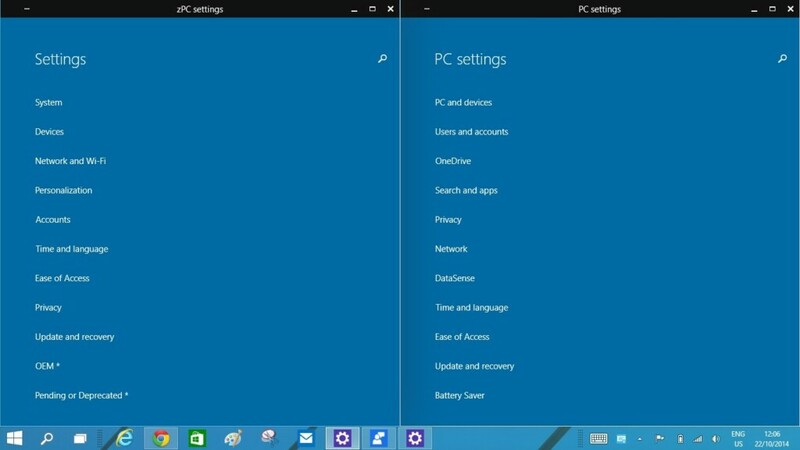 The start menu on the Windows 10 would divide the menu into two parts side by side. The left side would consist of the most recent and most used apps and the ones that are pinned by the user. 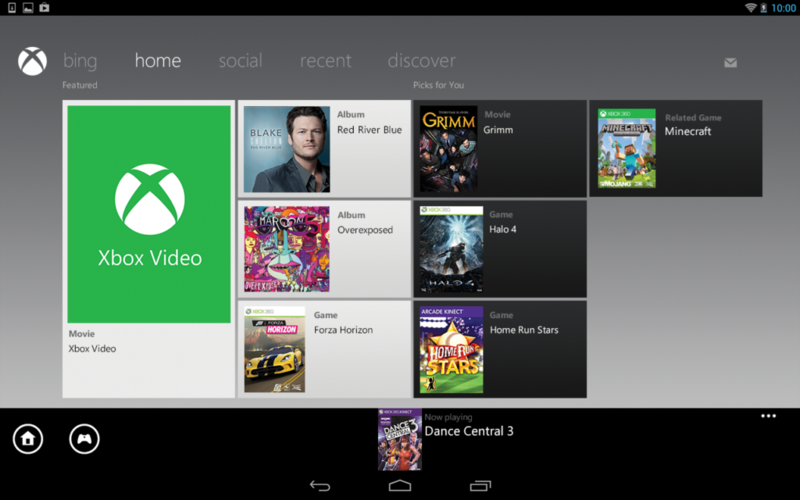 The right side provides you with live tiles that you can re size and organize according to your needs. The good news is, if you fell in love with the full screen start menu that of the Windows 8, then you can do the same here as well. If you have not been a Windows Phone user then you might certainly not know about Cortana. 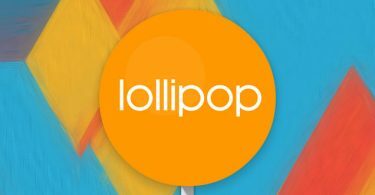 Cortana is like the Google Talk of Android and the Siri of iOS, there has always been comparisons between them and they all have the ability to respond to your voice input in a way that is just perfect for a normal user who would want to use this feature while his/her hands are occupied. With the help of Cortana you can continue to be lazy enough to not touch your PC if you require something from it. 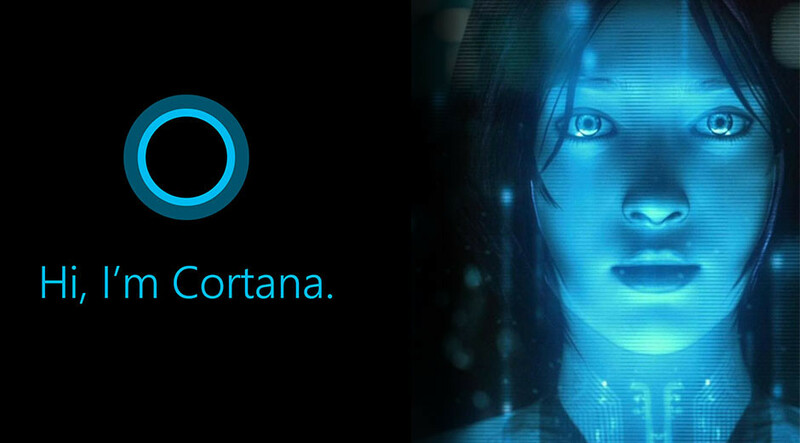 Just simply use Cortana for helping you out through voice commands. The Xbox App that is built into the Windows 10 will allows users to play their Xbox One games on their tablets or PCs and it also provides with the function of letting the user stream the game that is being played through the Xbox One. Graphics and Performance will also get a boosts with the help of the Direct X 12, that will help the user make the most out of the games that are being played using their Windows 10 devices other than that of the Xbox One. Spartan Browser is a better and more powerful alternate to the Internet Explorer, although it has been in the Microsoft blood stream since a very long time and we have no idea how people are going to react to the change but we do know for sure that it is a definite increase in the performance and usability. With the Cortana feature built-into the browser, it provides better graphics performance and most of all it will add the feature of reading PDF files with in the browser. Cortana on the other side will let the users make the most each website through voice commands. Microsoft has paid a large deal of the effort in to setting up the mulitasking feature on Windows 10, in the start it might seem like the that of the “Spaces” feature that the Apple Mac OS packs with in itself. This might seem as simple as it is on all the rest of the mobile OS or desktop/laptop OS, but it has got a big deal to it. 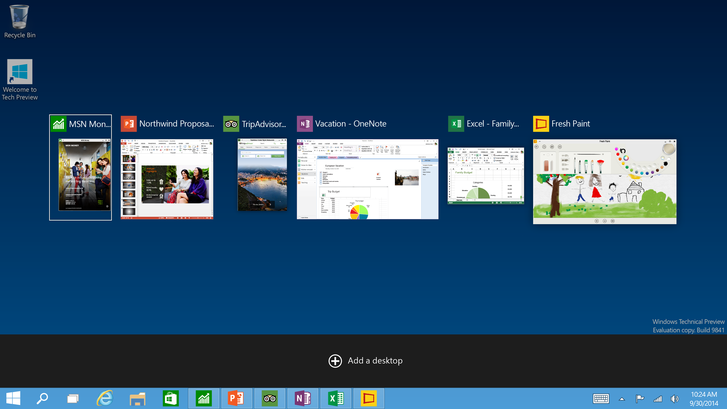 Windows 10 allows you to have separate desktops to suit your mood. For example, if you want to set up a desktop for entertainment then you can simple set up all the apps that you might use for watching movies or playing games etc, you can set up a desktop for work setting up Microsoft Excel, Microsoft Word and PowerPoint etc. With the multitasking feature, users would find it much more easier to use Windows and I have a feeling that the number of people using windows might increase even further with the release of Windows 10. The action center is like a cupboard of your notifications, similar to that of the mobile OS. 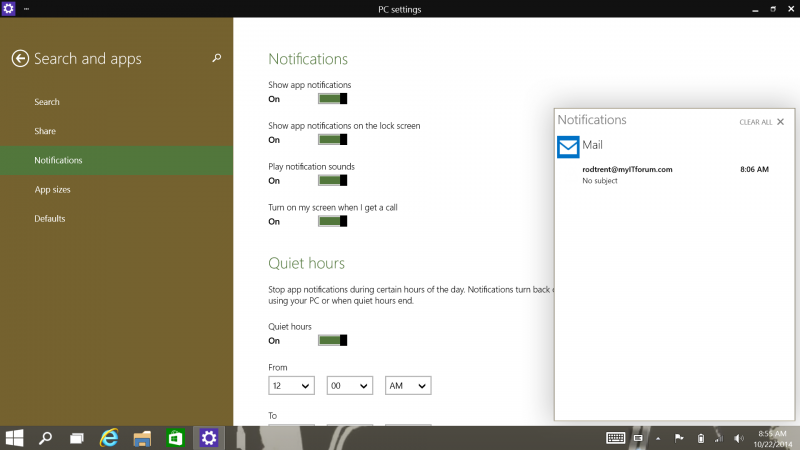 The charms menu that would appear to the right side of Windows 8, has now been replaced with that of the Action Center that packs up all the notifications of the devices connected to your laptop, social network, Applications and even system notifications with in itself making it easier and much more elegant to view and respond to. The Action Center also provides the user to select a specific notification and respond to that directly from the Action Center. So unlike the Windows 8, it is not a dummy Action Center but it actually works like one and serves the users to their best. The Office 2016 is the most anticipated feature of Microsoft Windows 10, although the office is not a part of the actual OS but it is no doubt one of the most essential part of Windows for those people who tend to use their PCs for the purpose of working on and off. 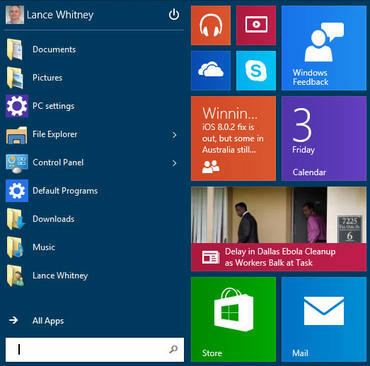 In Office 2016, Microsoft has paid a lot of attention to the touch interface and devices. 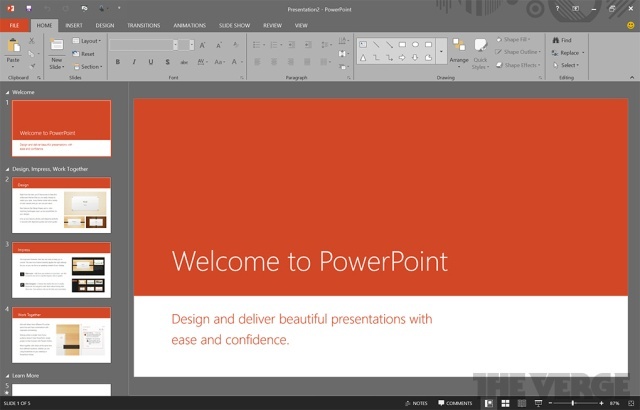 The Office 2016, is going to prove out as one of the most user friendly and fun applications for the doers. This one is an obvious one since this is one of those features that appeared initially on the Windows 10 Technical Preview. The Merging of Setting and the Control Panel has been made Windows 10 more elegant and stylish according to what we think. 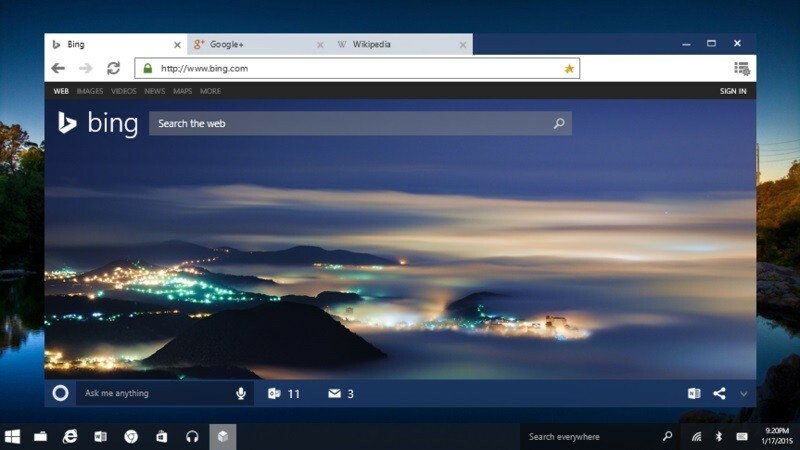 It feels more compact and everything seems to be in place after this tweak, we are hoping that Microsoft adds in better themes to Windows 10 and allows the users to set it up like they do with Mobile OS. If you have been using the Windows since quiet some time now the you will get to use the complete version of Windows 10, free of cost. Microsoft has announced that Windows 10 is going to be a free update for those users who are on Windows 7 and Windows 8 currently. 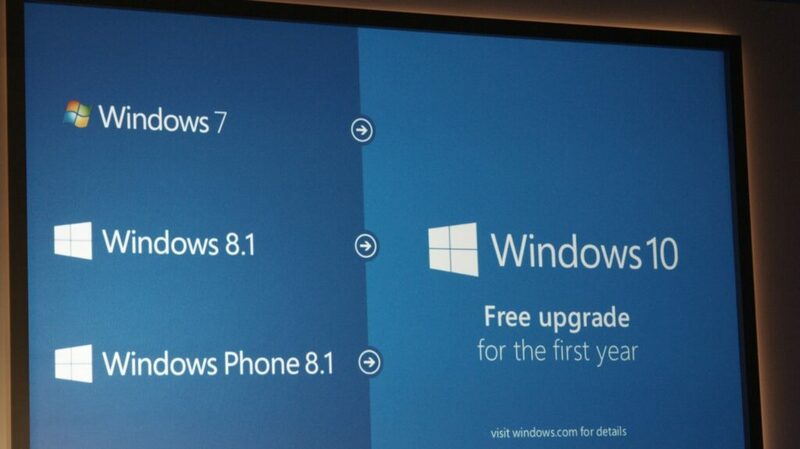 Although, users of these versions need to update to Windows 10 with in the first year of the release otherwise you would have to pay for the Windows 10.